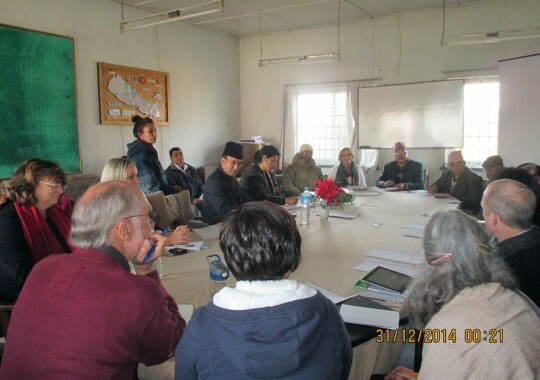 PSD's local partners include, Development for Social Transformation (DEST) (Chitwan), Sungabha Development Organization (Ilam), Human Welfare and Environment Protection Centre (HWEPC), (Dang), Bhimpokhar Youth Club (BYC), (Baglung), Society for Local Volunteer Effort (Dhankuta). PSD's national partners are located in the Nepali Government authorities, including SWC (Social Welfare Council), DAO (District Administration Office), Metropolitian city, Sub-Metropolitian City, Municipality and Rural Municipality. PSD's international partners include Global Fund for Children (USA), Families Bold Build Future (Australia), Nepal Adoptive Families Association (NAFA-USA), Global Giving (USA), Community Development Institute (USA), Habitat for Humanity, US-based iNGO, Oxford Development Abroad (ODA), Oxford University, Bristol Volunteers Development Abroad (BVDA), Bristol University, Just Aid, a UK based charity, Simon Fraser University (SFU), Vancouver, Mercer University, Atlanta, USA, ICE (International Collaborators of Education), New York, USA, Bond University, Gold Coast, Australia, OXAdventure, Kuwait, and private donors around the globe. International Mud Day started in Nepal, led by Bishnu Bhatta, director of PSD Nepal. Every year the day is scheduled for the 15th day of Ashad (29th June), as this marks the start of rice planting season. Local farmers set aside a certain number of rice padi fields to be fully flooded and used for the Mud Day activities. The goal of the day is to connect children with nature in a personal, educational, and fun way, as well as uniting people of all social classes. The World Forum Foundation in 2009 in Belfast was the genesis of this project. In partnership with Gillian McAuliffe from Australia, WFF has been promoting Mud Day since 2009. International Mud Day is now celebrated in 70 countries worldwide. PSD works with GFC - Global Fund for Children - an iNGO parter. PSD Nepal has mobilised GFC funds in Nepal for over 6 years, helping the most underprivileged children of Nepal. After the earthquake of 2015, support was directed to serving children who participated in specific programs focused on environmental awareness, cultural enrichment, as well as personal and social development. 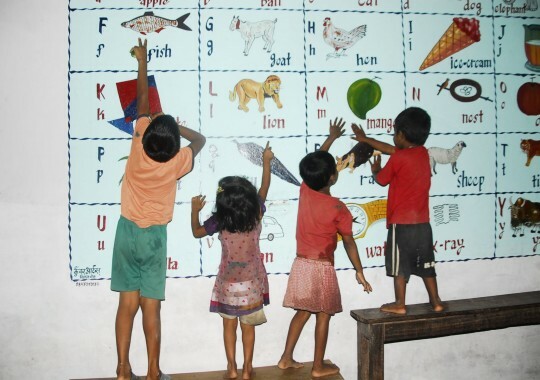 This partnership has served over 4,500 children a year, with activities providing orphans and youth in Nepal with after-school enrichment programs. These activities increase their general knowledge, build confidence, and provide a safe environment for play. 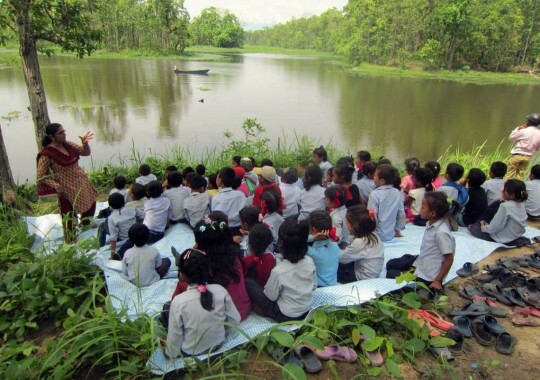 The children learn about nature, nutrition, and conservation. They have fun ! Developing camaraderie and a team-spirit develops self-awareness and healthy expression. 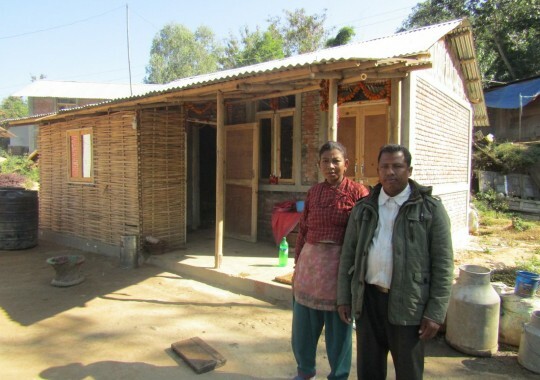 A $1MM grant from Habitat for Humanity - direct from the Kathmandu-based office of this American iNGO - enabled PSD Nepal to work on the construction of 87 homes in the Pipalter, Kavre, district of northern Nepal, that was affected by the 2015 earthquake. 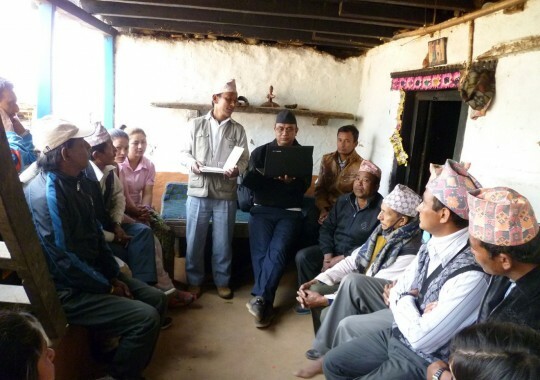 18 PSD staff trained and enabled the local community in Pipalter to reconstruct their damaged homes, 90% of whom were displaced Danuwars, a highly marginalised people group in Nepal. 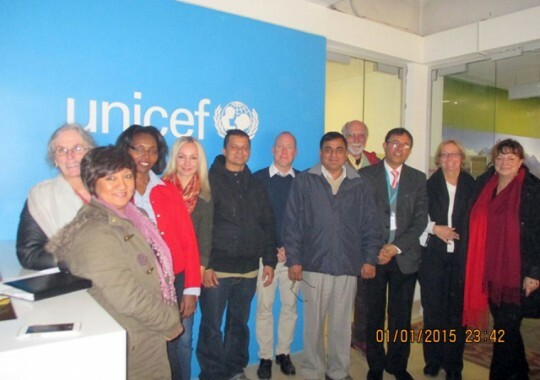 PSD Nepal practiced its mandate of helping the poorest & most vulnerable communities in Nepal. Mason-training was offered, to men & women alike, providing higher salaries and up-skilling labourers. This initiative from PSD Nepal connects school students with the great outdoors. Learning from Mother Nature promotes outdoor learning and time spend in a classroom outside of the four walls of a school building. This program has been fruitful as it brings different insights regarding nature. Children are able to learn the importance of nature as they find it as something that they can love and enjoy. During the program children from different schools and orphanages gather and perform different types of activities and learning initiatives outdoors. 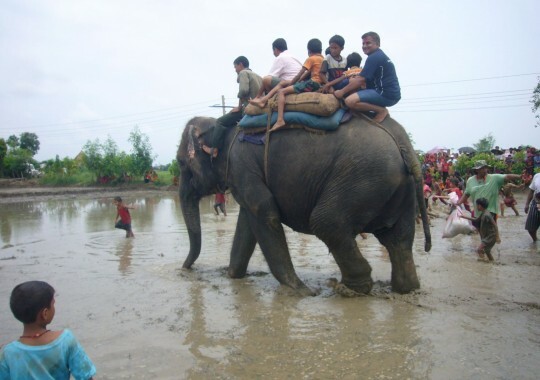 This year PSD expanded programs to Kavre and Chitwan to give children the chance to experience the beauty of nature in a new way. OxAdventure - PSD Nepal has started partnering with this global organisation, with 5 groups volunteering per year. OxAdventure looks to combine travel with volunteering and cultural exchange. Recent volunteers from Kuwait and Saudi Arabia helped to build a new playground at Siphal Home, KTM, for the Upasana Memorial Playground Project. FBBF ('Family Build Bold Future') - this initiative is led by Australian donors, supporting 22 children who leave Balmandir Orphanage Home in Panchkhal, Nepal, after Grade 10. PSD Nepal facilitates the support of these children, with educational resources, emotional support, and food supplements once they have left Balmandir Home.